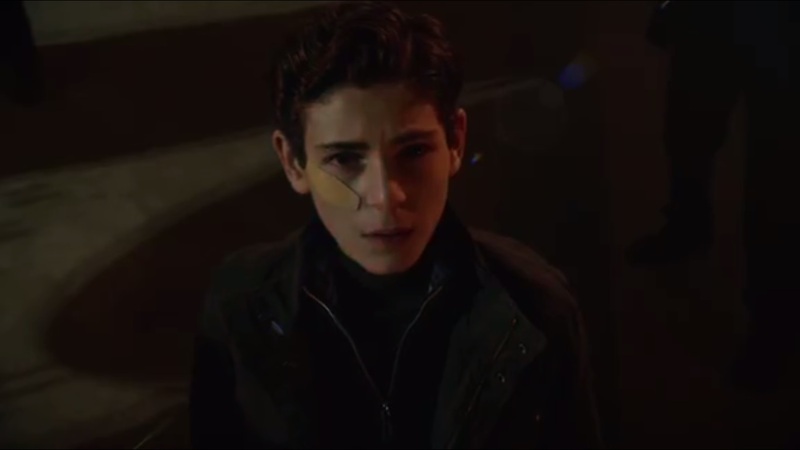 A Look at Gotham- Season 2, Episode 19: “Wrath of the Villains: Azrael” | What Else is on Now? 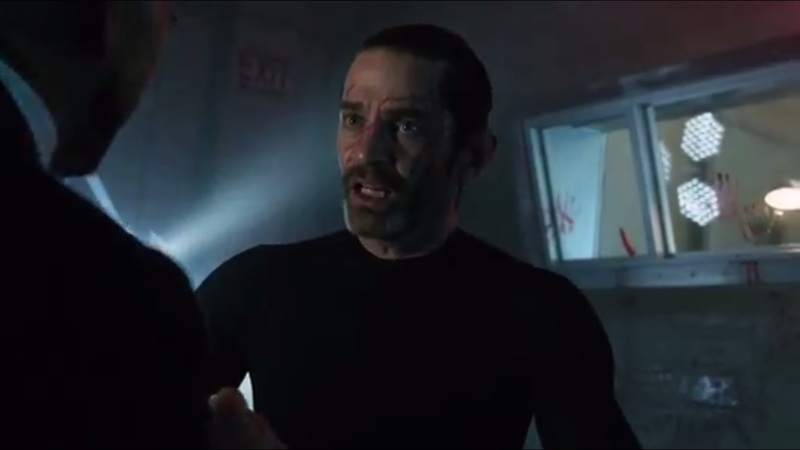 The episode begins with Theo Galavan writing on the walls in blood, ranting to himself and claiming that Dumas will deliver him and his sister. There’s been no improvement since Galavan awoke, but Strange sees no problem. Peabody thinks that Strange is as mad as a hatter. Oh, I get it. Galavan doesn’t know who he is yet because his psyche is fractured. And the texts he wrote on the wall come from a book called The Will and Order of St. Dumas, as the Galavan family is descended from 12th century crusading knights and Theo himself studied the entire book. Problem is that he’s using the wrong parts. 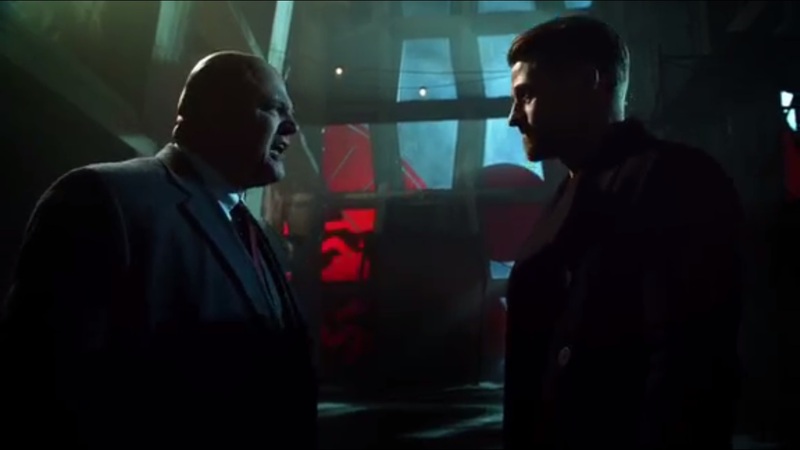 Jim Gordon arrives to speak with Strange on behalf of a client. 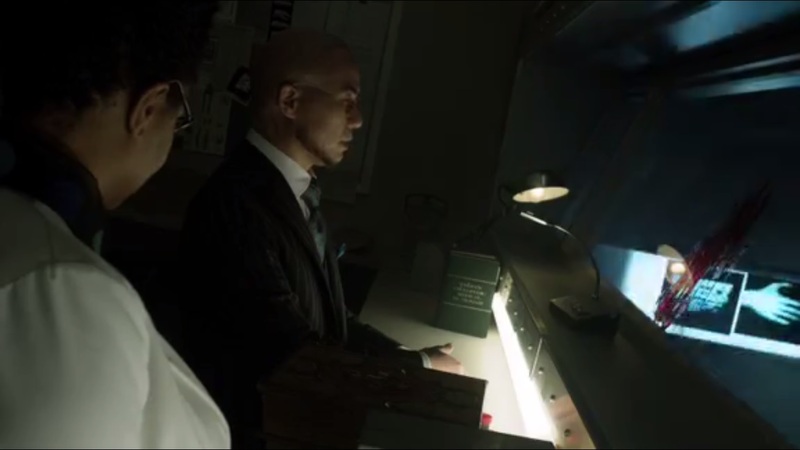 He shows a photo of Karen Jennings, who said, before she died, that Strange was connected to the Pinewood Farms program of Wayne Enterprises. Though a long time ago, Strange recounts that Pinewood Farms was started by Thomas Wayne to cure humanity’s greatest ailments on the genetic level. Karen, though, claimed that the program ended up creating monsters. But Strange was just a researcher who didn’t know these terrible things until it was too late. Gordon finds it hard to believe, but Strange maintains that everything came from Thomas Wayne, who excelled at compartmentalizing every aspect of his life. Hell, Strange was one of the people who forced Thomas to shut down the program, but by then, so many people had been hurt. Gordon’s theory is that Strange has restarted Pinewood Farms, but Strange asks why Gordon is here, given how Gotham City turned its back on him. It doesn’t help that Gordon isn’t a police officer right now. Strange figures out that Gordon’s client is Bruce Wayne. Given all that’s happened this past year to Gordon, Strange guesses that Jim is trying to make up for the sins of his past. It’s not for Bruce, but for Gordon. Jim denies it, but Strange notes several ticks in Gordon’s facial expressions that say otherwise. When Gordon switches to Victor Fries, who he saw last night. Strange maintains that Fries is dead, though Gordon still has court order to exhume Victor Fries’ body. That’s unfortunate, since Strange says that Fries was cremated. Luckily, Gordon can pick up on facial clues, too. When Gordon leaves, Strange opens the envelope. 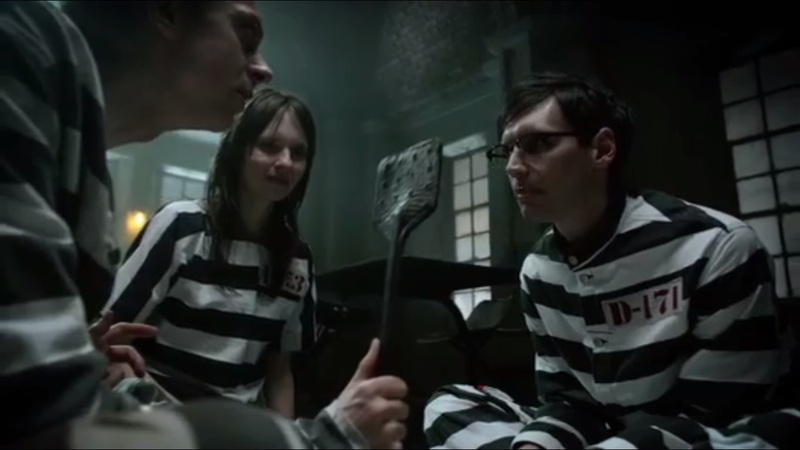 It’s riot time at Arkham Asylum, where Nygma intervenes between Aaron Helzinger and another inmate named Rudy, played by Tommy Buck, who has multiple personalities. Nygma talks about one of the personalities, Lucy, who is apparently a ghost, long enough to get Helzinger off of Rudy’s back for now. But then Nygma spots Jim leaving. He taunts Gordon, saying that Arkham is just one big puzzle and puzzles are his forte. 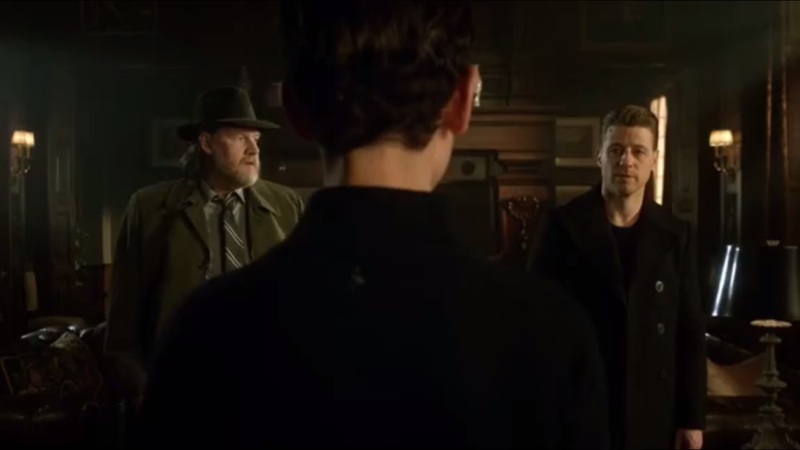 As Gordon leaves, Nygma then overhears Peabody and Strange talking about Gordon being a nuisance. 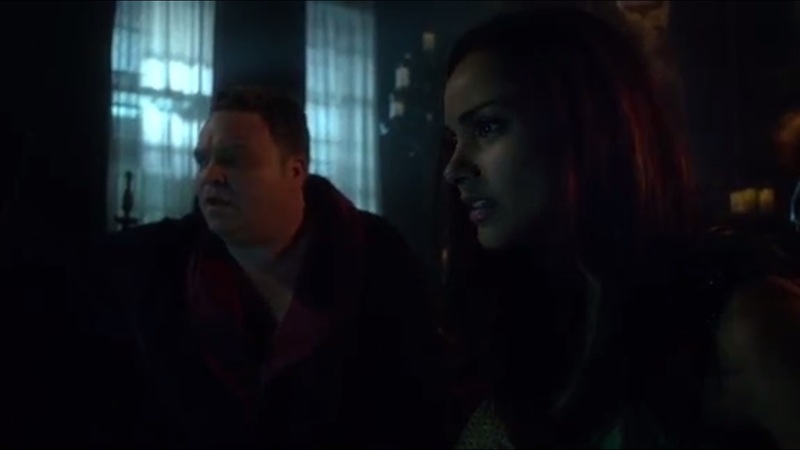 He offers to help, but Strange doesn’t want Nygma’s help. 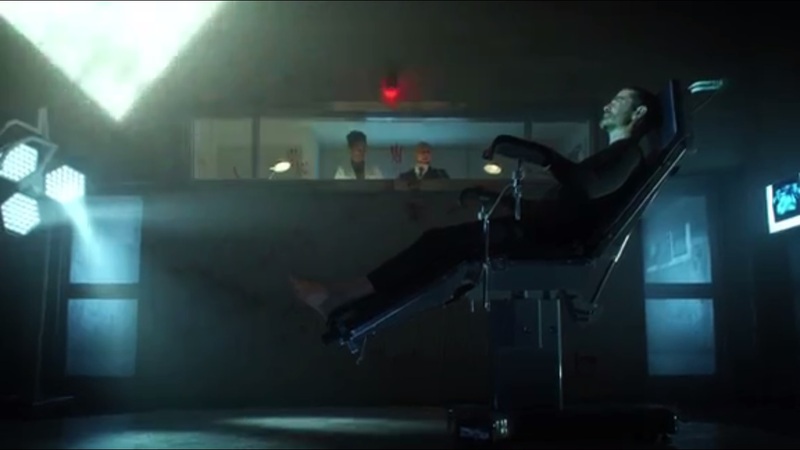 However, Nygma as a master manipulator, knows that people’s brains are a mystery. Figure them out and you’ve got them under your thumb. He already has several inmates manipulated. Everyone has a story and they just want to be heard. And that part appeals to Strange, so he thanks Nygma for his help. Strange returns to the text and now has a cure for Theo Galavan. People need stories that they tell themselves and what Galavan needs is a heroic one- and not the heroic dose of Thorazine that Peabody suggests. Strange settles on the tale involving Azrael. Despite the obvious threat, Strange enters the reanimation room and is attacked by Galavan. Strange wants no interference. As Galavan chokes him, Father Strange reminds his son of his code. Galavan asks where he is or his own name, but Strange says that demons have bewitched his souls. Galavan is the redeemed one and he should know his name. Though Galavan believes that there still exists a sister and high tower, Strange tells Galavan to serve his order. And Strange shall give his son the name of Azrael. Azrael begs his father to command him. At Wayne Manor, Bruce looks at the photo of Strange and asks Bullock and Gordon why Strange hasn’t been arrested. Their evidence is thin and the only potential witness is dead. No way would Barnes sign off on this. Bruce knows where Strange is and doesn’t want to work by the law, particularly since Jim isn’t a cop anymore. Jim asks for the room: he wants to do this by the book, but Bruce reminds him that didn’t work with Galavan. 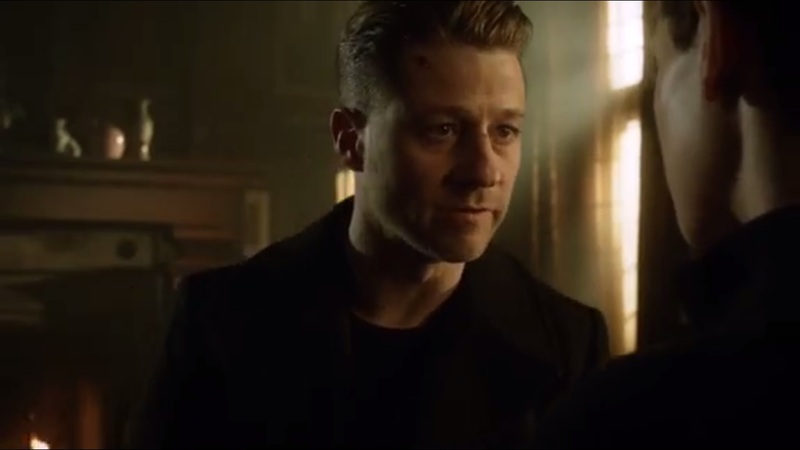 Bruce appreciates what Jim has done, but he doesn’t want to go down the same route without achieving justice unless Jim does what he did to Galavan. Gordon counters that he chose to kill a man in cold blood and he’s paid a price by crossing that line. If Bruce does that, he’ll become like the evil he’s trying to fight and murder will change him forever. Real subtle, Gotham. Jim promises to get a warrant and put Strange away for good- the right way. Still in the reanimation room, Azrael’s psyche is molded on the text regarding the Order of St. Dumas. 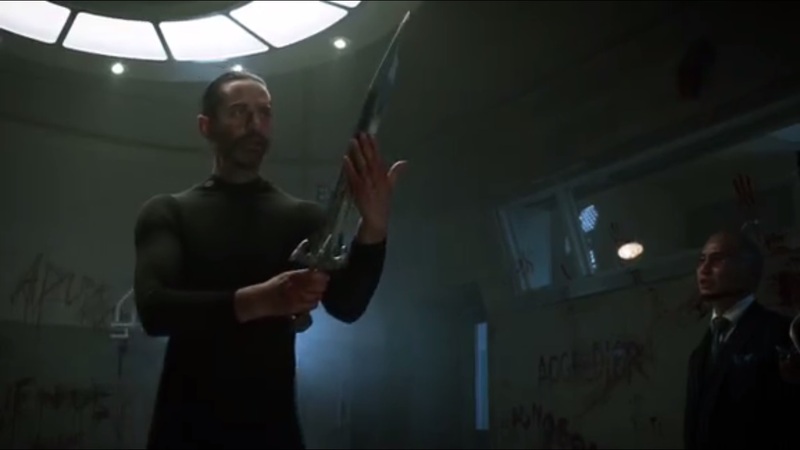 Strange tells Peabody that going forward, Galavan is Azrael: a fabled 12th century knight who died for the cause of his feudal Lord, Adam Dumas. 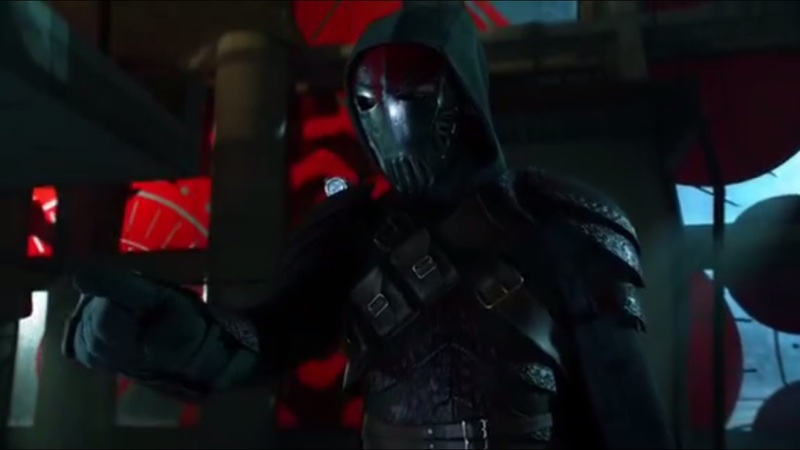 Azrael needs focus, so perhaps this was Theo Galavan’s destiny. There’s no way of knowing if the persona will hold, so Strange needs to give Azrael a task. And a costume. 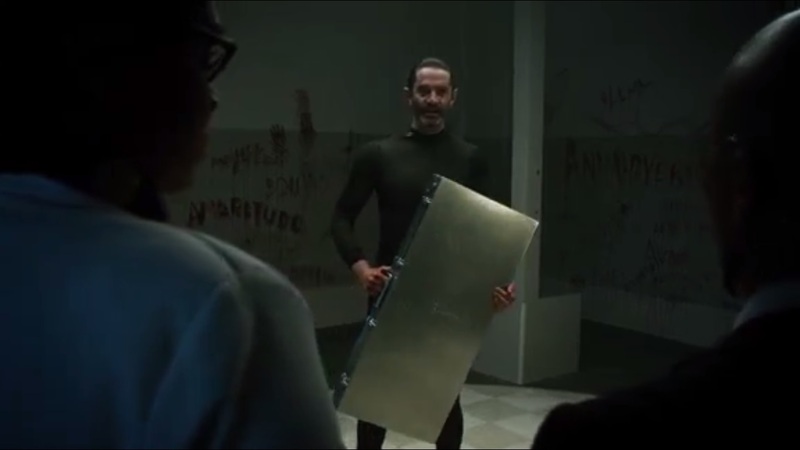 Aaron Helzinger is summoned while Nygma slips out to investigate why people keep disappearing down a particular hallway and figures that Strange is hiding something. From a safe distance, he follows, but ends up at a dead end. Interesting. Helzinger is brought before Azrael, whose skills are yet to be tested. Strange calls Helzinger a demon and says that the case in front of Azrael will help him conquer the demon. He uses it to knock out Helzinger. That’s an unconventional approach, but not too out there for this show. I’ll take it. He opens the case to reveal The Sword of Sin- a blade that was actually made yesterday, but today, will be Azrael’s signature weapon. Strange tasks Azrael to kill Jim Gordon. At a construction site, GCPD find the bodies of four male victims. As Barnes briefs the press, he spots Gordon, Bullock, and Bruce Wayne. After some prodding from Bruce to hear the truth, Barnes gives Gordon not five, but three minutes to make his case. 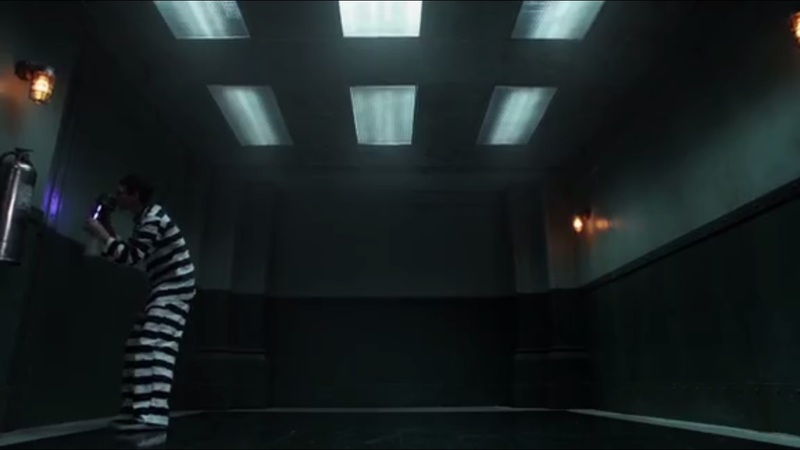 At Arkham, Nygma speaks with the inmates about grabbing some items so he can find out what Professor Strange is hiding and get out of Arkham. Not to play Clue, though. As predicted Barnes is skeptical about Hugo Strange’s experiments, Karen’s murder, and Victor Fries’ resurrection. It doesn’t help that he’s unsure about trusting Gordon. 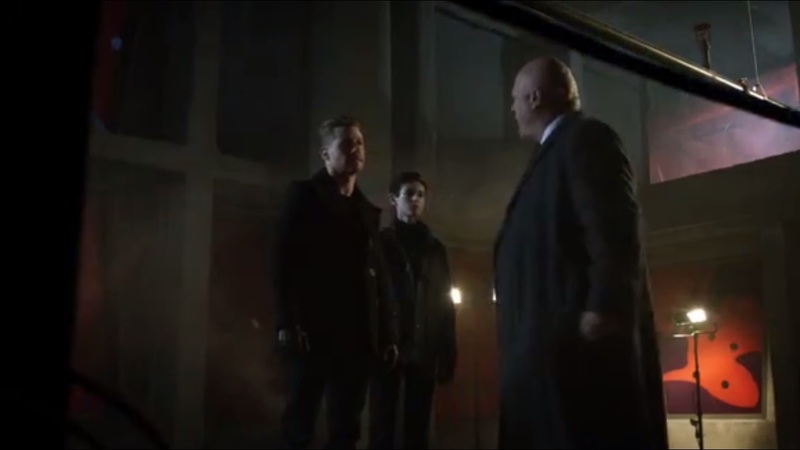 Gordon, though, thinks that Barnes’ stubbornness has paid a price in the GCPD. 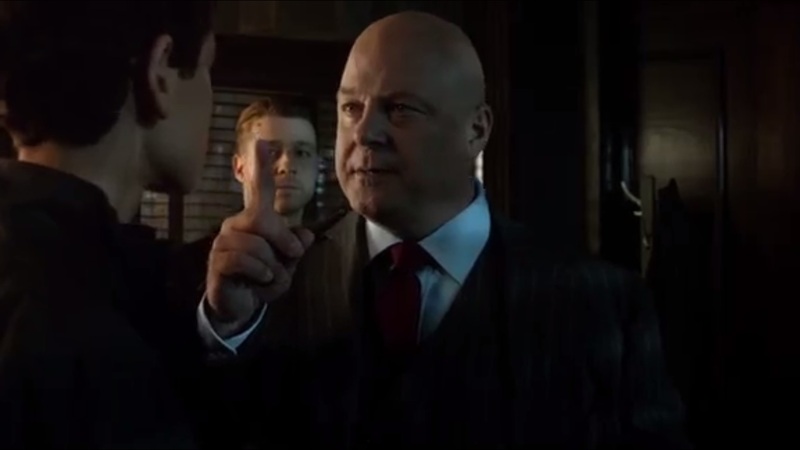 In response, Barnes tells Gordon that if he has all the answers, maybe he should run the GCPD. Okay, it’s not funny anymore, Gotham. 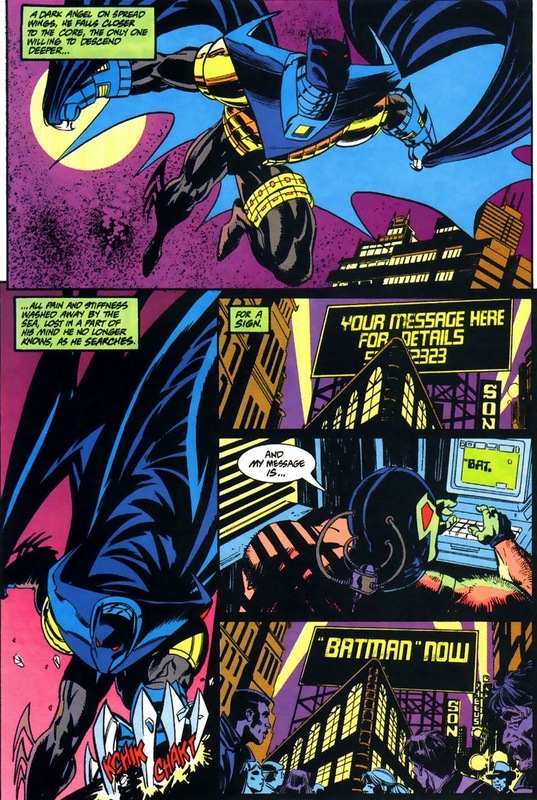 Azrael enters the scene and manages to hold off Barnes and Gordon. He then scales the walls and flees incoming gunfire. Bruce watches with a mixture of shock and confusion on his face. Back at GCPD, Barnes needs information about Azrael, but in the meantime, he’ll contend with Azrael by assembling the Strike Force. Right, because that worked so well the last few times. Barnes tells Bruce to go home and stay out of police business. Bruce tells Jim that this is his business, too, but Gordon wants Bruce to remain safe. Let’s check on in on Penguin, who is still housing with Grace’s rotting corpse. He turns on the news just as there’s a news report on Azrael’s escape. 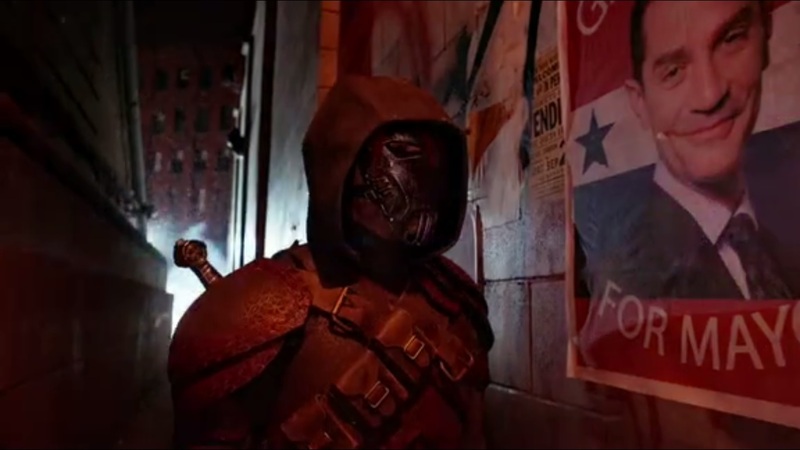 At the same time, Azrael looks at a poster of Galavan for Mayor and has flashes of his past self. 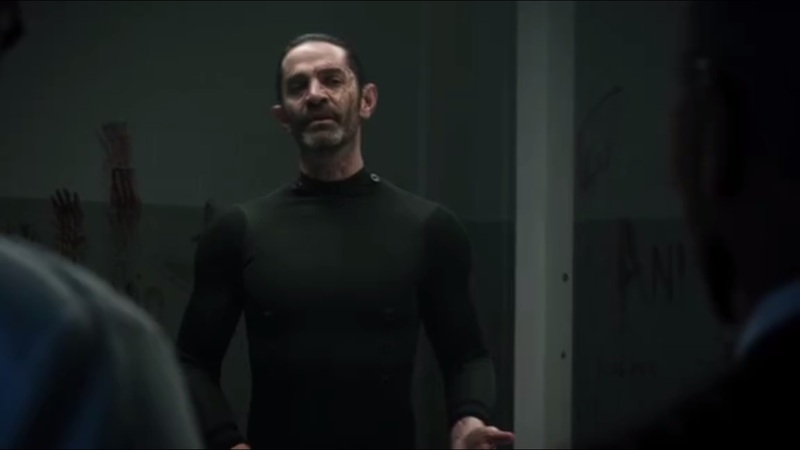 Galavan briefs GCPD on Azrael and tells the officers that they’ll put him behind bars. Barnes tells Jim to stay at GCPD for his own protection, but then, since Jim isn’t an officer, he doesn’t need to follow Barnes’ officers. 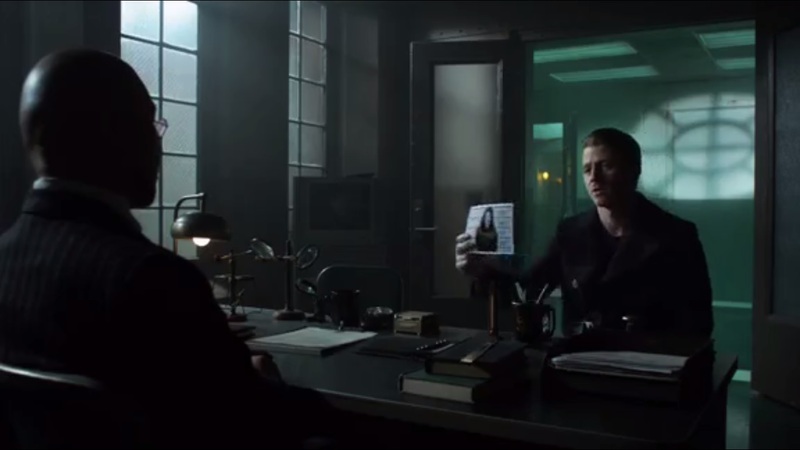 Okay, so Barnes holds Jim in lockup under suspicion of breaking Karen Jennings out of GCPD custody. I guess that’ll do. 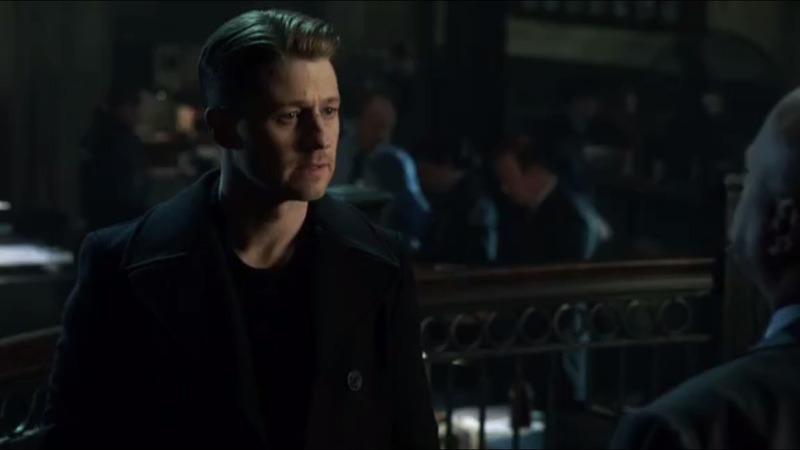 Gordon says that sometimes, breaking the law is the right thing to do, but Barnes tells Jim to look at Gotham all around him. It’s like a sea of evil. If people don’t hold onto the laws, they’ll drown. Or maybe, when the chips are down, these civilized people will eat each other and the chips. As the lights suddenly go down, Azrael bursts into the department, proclaiming himself to as the light to vanquish the evil that is Jim Gordon. If the other officers stand down Jim surrenders himself, Azrael will spare everyone present. Oh, and Azrael has already been to hell, so that’s not a threat. He starts killing officers left and right until Jim is released. Barnes unloads his entire clip into Azrael, but, of course, it has no effect. They’ll need a bigger gun. 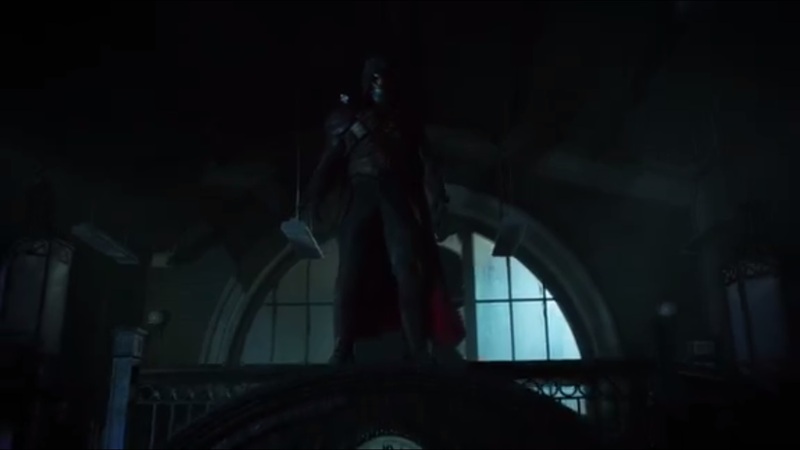 Barnes heads to the roof and is soon confronted by Azrael, who demands that he show Jim Gordon. The most Azrael can offer Barnes is a painless death. So the two do battle with Barnes managing to shatter Azrael’s blade. When Azrael’s mask is knocked off, Barnes recognizes Theo Galavan’s face. That’s enough of an opening for Azrael to plunge what’s left of his sword into Barnes’ gut. Gordon finally arrives and opens fire. He manages to blast Azrael off the roof and right into the middle of a news story. Okay, that’s kind of funny. 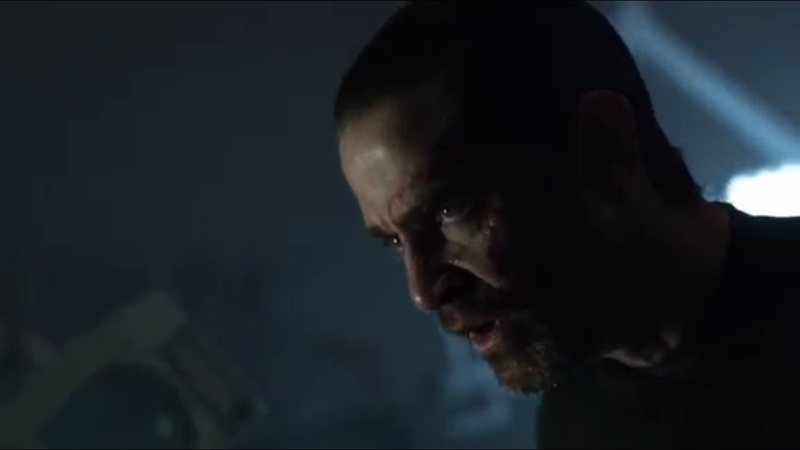 As Barnes is taken to the hospital, Gordon tells Bullock that he did indeed see Galavan. Butch and Tabitha must now contend with Barbara, who can’t decide what to watch on television. She thanks the two for being so good to her, so she decides to make cocktails. Tabitha thinks that everything is fine, but Butch is scared out of his mind. Then the two happen upon the story of Galavan on the news. As does Penguin, who recognizes his old friend. And so do Bruce and Alfred, who contends that Galavan must not have been dead. 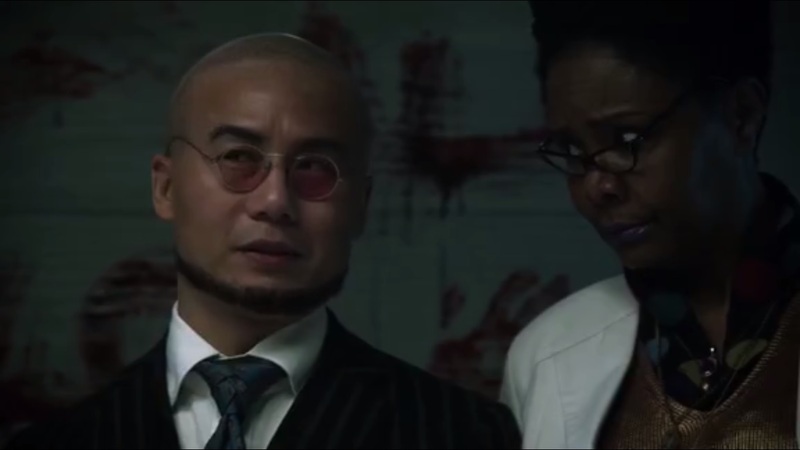 Bruce figures that Hugo Strange must be the culprit. What’s happening to Gotham City? Nothing good. We return to Arkham Asylum, where Nygma uses the assembled items to inspect every nook and cranny of the dead end. He soon finds a secret compartment and uses a bobby pin to unlock the secret elevator that takes him down to Indian Hill. That night, as Jim heads off for the night, Azrael watches him from atop the Gotham City bridge. Well, that was interesting. 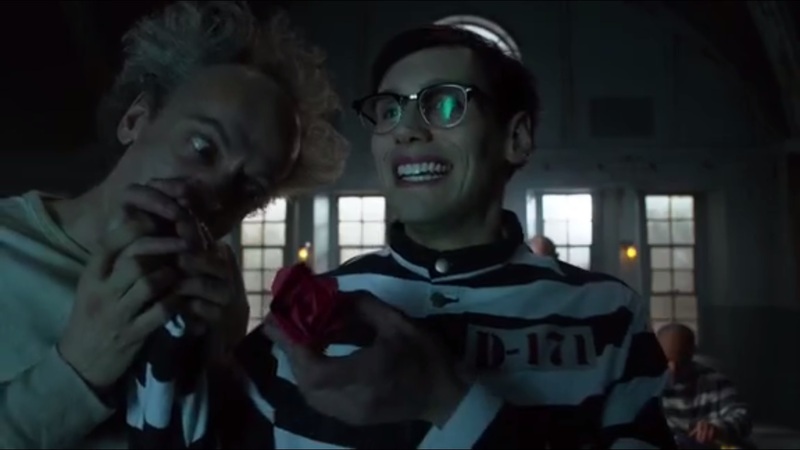 Trust Gotham to be uncertain about its tone, but every now and then, when the show isn’t trying to play it straight, they’ll play up the goofiness and embrace the campy nature of the show. That’s the case here with “Azrael,” as you’ve got a resurrected Theo Galavan now taking on the title of Azrael, but he’s given a so-called sacred blade that wasn’t made that long ago. You’ve got Strange pretending to be Azrael’s father, Azrael using the case to knock out Helzinger instead of opening it first to use the blade, or Peabody thinking that Galavan is as mad as a hatter. Get it? 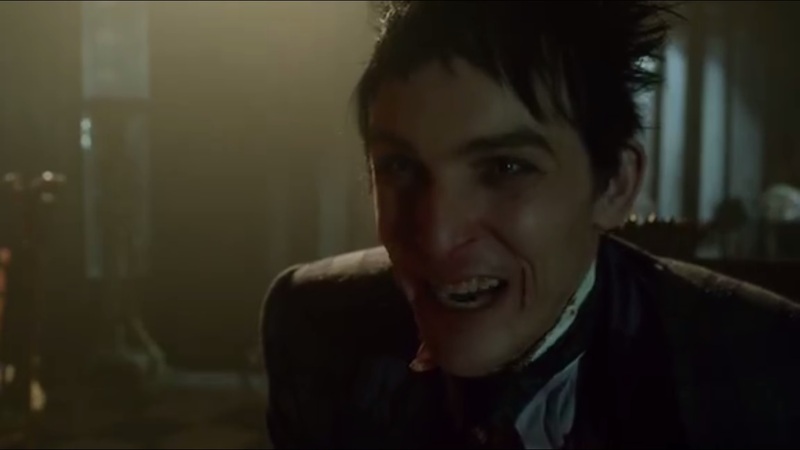 It’s uneven, but in the midst of so much dreariness, Gotham needs a shot in the arm of something wacky and ridiculous. This is not a show that can be taken seriously just because of how goofy a lot of the presented elements have been. And this extends to villains doing dumb things. I get Strange’s fascination with Galavan, especially after the resurrection worked, but what I don’t understand is why he’s so gung-ho about sending Azrael out now. He just sent out Victor Fries, who was spotted, but now he’s sending the former mayor out in public where many different parties would be surprised at seeing Theo Galavan again. Wait awhile, I say. Galavan wasn’t in the best of sorts after being brought back and the flashes indicate that he still has memories of his former self, so why not take the time to completely reprogram Galavan into Azrael? Oh, and use that time to make a more secure mask. 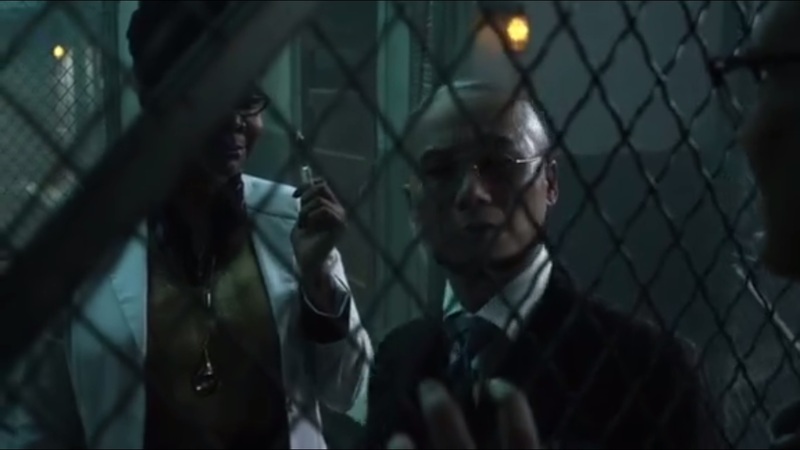 Sticking with Galavan for a moment, if ever there was an episode that illustrated how much Gotham shoehorns in characters for no real reason, it’s having Butch, Tabitha, and Penguin all see Galavan on the news. It’s a surprise to them, but it added nothing to the episode. Nor did crazy Barbara. If any of these people were to run into Galavan, they could just say they saw him on the news. It’s a quick line that serves its purpose. And it would feel more genuine than having to force them into the final moments of the episode when they served no purpose. 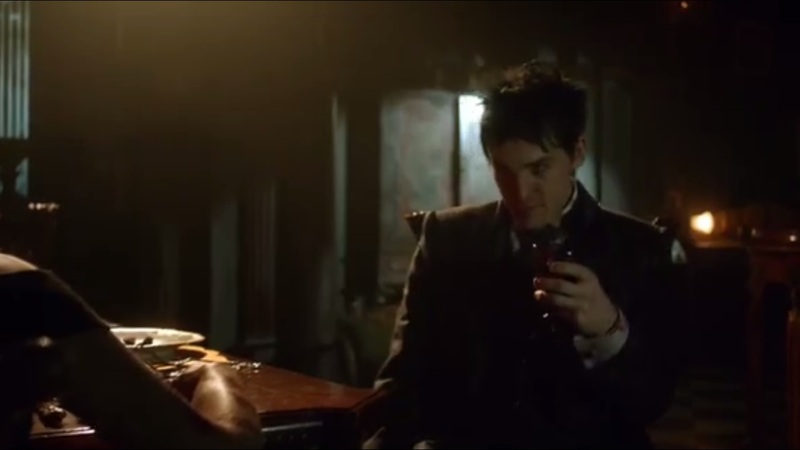 Hell, Penguin’s first appearance in the episode told us nothing outside of the fact that he hasn’t left Elijah’s mansion yet. Or removed Grace’s body. Onto Azrael himself. He’s not bad. I like his design and he has the flexibility and stamina to last his own in a fight. Gotham has had a habit of taking villains from Batman’s rogues’ gallery and putting its own spin on them. The show is well within its right to do that, but I just find Azrael oddly placed here. I can get past the fact that, right now, this guy isn’t Jean-Paul Valley. And there’s no broken Batman for him to replace, so kind of like how people saw Jerome as a sort of proto-Joker, Galavan, from the looks of it, is the proto-Azrael we’ll come to know later. I could easily be wrong on that assumption. But his motivation to cleanse the city of evil does line up with Galavan’s mayoral plans to sweep Gotham City clean. And Gordon hasn’t faced a lot of physical challenges that gave him some real problems. 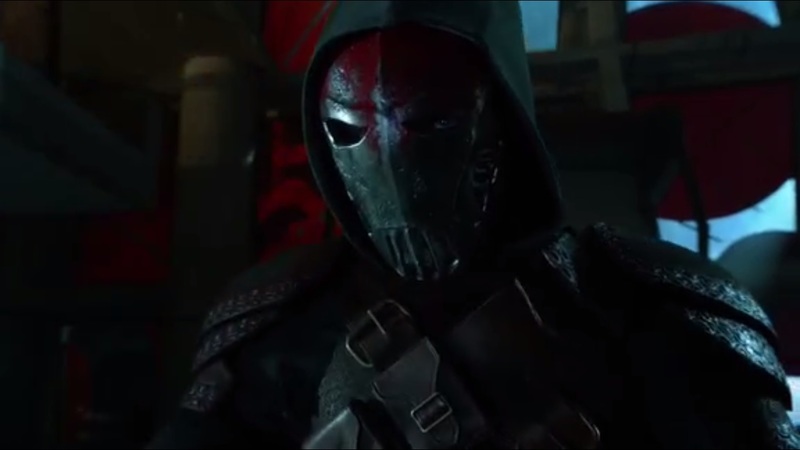 So in that regard, I like that Azrael does sort of represent this angel of death that’s come to cleanse Gordon from Gotham City. What I don’t like is some of Jim’s dialogue. 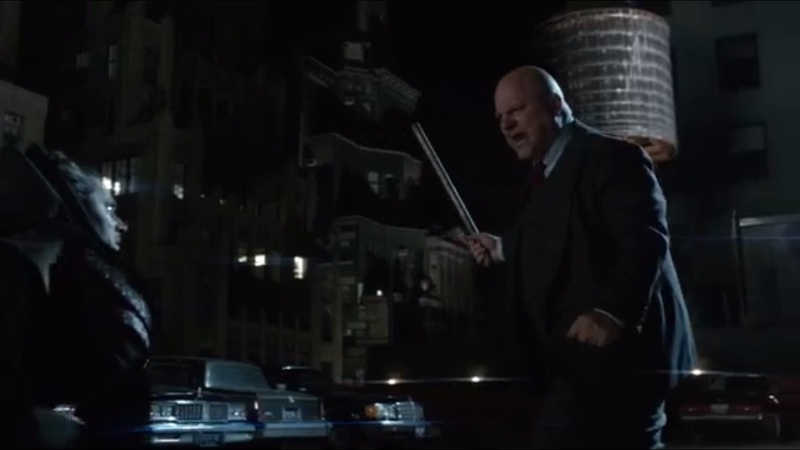 Gotham has this habit of spelling out things that some audience-goers who know anything about Batman will know. 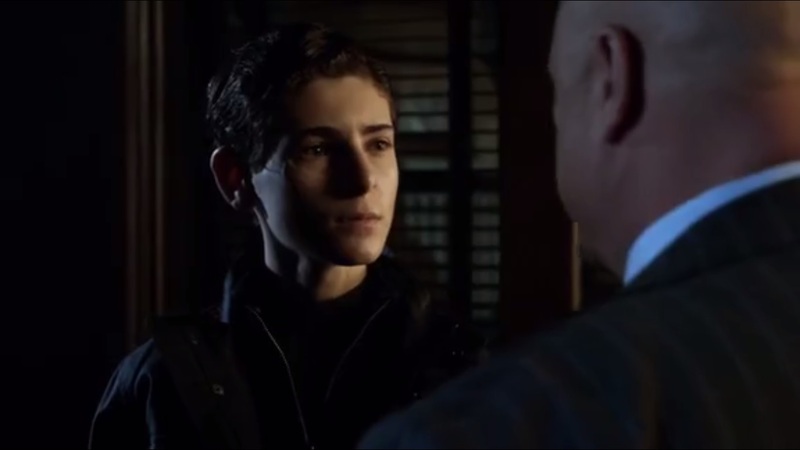 Yes, Jim will run the GCPD one day, so him saying to Barnes that maybe he will lead the police isn’t just his bravado. And Jim telling Bruce that taking a life will make him like the evil he’s become. There’s a line. We’ve heard several characters, Jim and Bruce included, go over this many times and even flip-flop on occasion when the plot demands it. I don’t need Jim reminding Bruce that some things need to be done by the book when, not long after, he tells Barnes that, at times, breaking the law is the right thing to do. Jim, you just contradicted yourself. Hell, Bruce himself told Selina at one point that he hoped killing would change him. And I certainly don’t like Bruce looking at Azrael as if he got sudden inspiration for his future costume as a crime-fighter. It was bad in The Amazing Spider-Man when Peter saw a luchador poster and it’s bad here, more so because Bruce already got a bit of inspiration from The Balloonman. Yeah, not for a costume, but the Dark Knight foreshadowing is unnecessary. So while Bruce wants to be a detective, he’s still a kid, as Alfred has reminded him. So I have no problem when Barnes tells Bruce to stay out of police business. 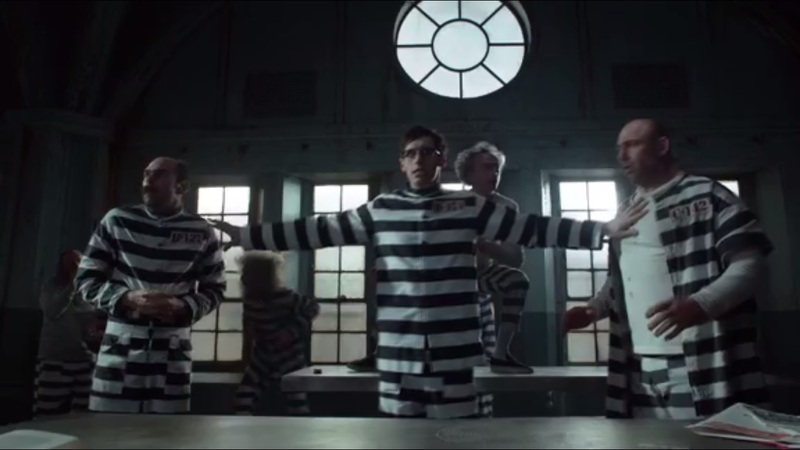 Nygma controlling the inmates in Arkham Asylum is a good way to develop his character and keep him scheming and playing mastermind. He likes games and puzzles, and now he’s discovered Indian Hill. It’s not intrusive enough that it feels forced to intersect with the main storyline because Nygma would be curious about Strange, given their mutual distaste for Gordon. “Azrael” was a good watch, all things considered. It embraced the campy and was serious when it needed to be, but some elements were a bit too on-the-nose and the writing contradictory at times. Strange’s experimentations have now been on display twice now, so Jim is even more determined to come after him. 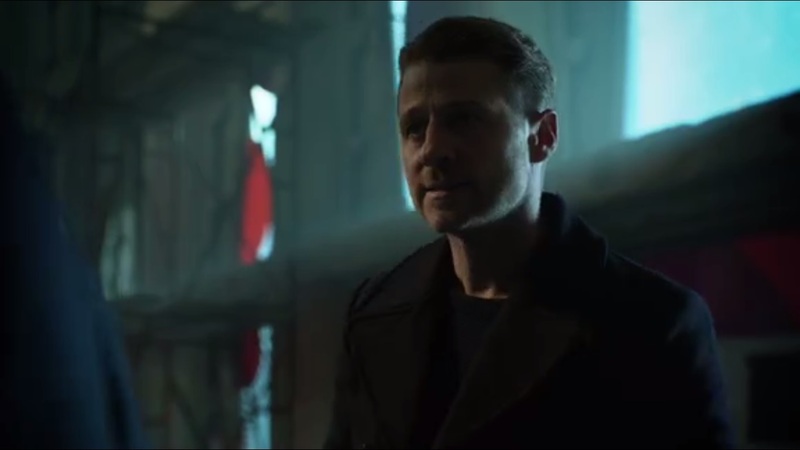 Is he going to throw every past rogue back onto the streets of Gotham City? This entry was posted in Gotham and tagged Aaron Helzinger, Alfred Pennyworth, Arkham Asylum, Azrael, Barbara Kean, Batman, BD Wong, Ben McKenzie, Bruce Wayne, Bruno Heller, Butch Gilzean, Cory Michael Smith, David Mazouz, DC Comics, Donal Logue, Drew Powell, Edward Nygma, Erin Richards, Ethel Peabody, Gotham, Harvey Bullock, Hugo Strange, James Frain, Jessica Lucas, Jim Gordon, Larysa Kondracki, Michael Chiklis, Nathaniel Barnes, Oswald Cobblepot, Penguin, Robin Lord Taylor, Rudy, Sean Pertwee, Stink Fisher, Tabitha Galavan, Theo Galavan, Tommy Buck, Tonya Pinkins by omarid513. Bookmark the permalink.